. إن الخدمات الممتازة وحسن الضيافة العالي في Broadbeach Travel Inn Apartments تجعل إقامتك تجربة لا تنسى. يمكن لضيوف الفندق الاستمتاع بالميزات التالية على أرض الفندق: واي فاي مجاني في جميع الغرف, تسجيل وصول/خروج سريع, تخزين الأمتعة, واي فاي في المناطق العامة, صف السيارات. يمكن للنزلاء الاختيار من ضمن مجموعة من الغرف المصممة بعناية لتعكس جواً من الراحة، والتي يتجاوز عددها 66. كما أن مجموعة الخدمات الواسعة الموجودة في الفندق لضمان راحتك تترك لك الكثير من الخيارات لقضاء وقتك أثناء فترة إقامتك. إن Broadbeach Travel Inn Apartments هو مكان مثالي للمسافرين الذين يتطلعون إلى الراحة والاستجمام في المدينة. يُطلب دفع مبلغ تأميني نقدي قيمته 100 دولار أسترالي عند تسجيل الوصول؛ لتغطية المصروفات العرضية أو الرسوم أثناء الإقامة، ويُسترد المبلغ عند المغادرة. من الساعة 08:30 صباحًا إلى 05:00 مساءً من الإثنين إلى الجمعة. من الساعة 09:00 صباحًا إلى الساعة 01:00 ظهرًا في أيام السبت. من الساعة 09:00 صباحًا إلى الساعة 12:00 ظهرًا في أيام الأحد. يجب على النزلاء الذين سيصلون في وقتٍ آخر -غير الأوقات المذكورة أن يتصلوا بالعقار مباشرةً قبيل وصولهم؛ وذلك حتى يمكن إجراء ترتيبات أخرى. تسجيل الوصول أو المغادرة خارج الساعات المذكورة ستترتب عليه تكلفة إضافية بقيمة AUD 100. يتبع هذا العقار سياسة صارمة بحظر إقامة الحفلات. إذا لم تتمكن من اتباع سياسة العقار، فقد يترتب على ذلك إجلاء النزلاء وخسارة أي مبلغ تأميني أو مدفوعات. يتعين على جميع النزلاء التوقيع على "شروط الإقامة" الخاصة بالعقار. وديعة أمان بطاقة الإئتمان بقيمة 100AUD مطلوبة عند تسجيل الدخول لتغطي الرسوم أو الأضرار خلال فترة الإقامة و سيتم إرجاعها خلال 7 يوم/أيام عمل بعد إنتهاء إقامتك. لن يستضيف هذا العقار حفلات توديع العزوبية للرجال أو للسيدات أو أي حفلات مماثلة. What a pleasant surprise we had on arrival. We weren't expecting much because it was cheap for the gold Coast. Our unit 405 has recently been refurbished so everything was new and clean - overall we were very happy there. The location is fantastic - walking distance to many attractions - you can just leave the car in the car park the whole time. I am a fussy person and have no hesitation in recommending this to anyone looking for something clean and comfy in a terrific location without the hefty price tag. Will definitely stay there again. Living room was quite spacious, but was very basic (painted bricks, not walls and carpet that has seen better days). Shutters between the rooms (for privacy) and the sliding door were broken, very basic kitchen amenities. Whilst basic and clean, we were overall disappointed. Best thing about this apartment was the location, it was walking distance to casino and Pacific Fair. Staff were friendly and helpful. Kitchen well fitted out with everything you could need and the unit was clean. However, the beds were really uncomfortable and pillows were flat with no substance and there was only one blanket for two beds. Unfortunately, the bedding ruined the whole weekend . 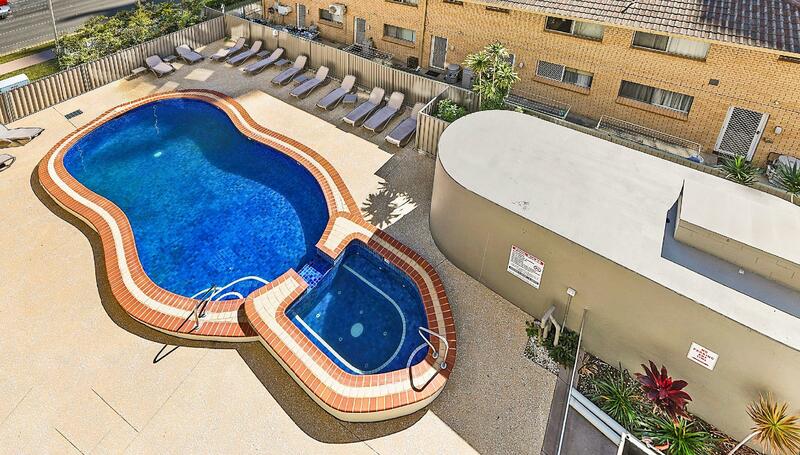 Broadbeach Travel Inn Apartments are located within an easy walk to, Pacific Fair, The star casino, the Gold Coasts amazing beaches and much more. There were some maintenance needs, but this was well outweighed by the excellent customer services we received form management and staff. Chose this place for the spa it was freezing. Told the receptionist and she said she'd ring the pool guy tomorrow. The curtain rail in the room fell down while we were out meaning our room was open to those in the restaurant next door. Temporary fix was given the next day therefore it fell down again. We are frequent visitors to tht Gold Coast and will advise friends and family to steer clear. Not worth the price will never go back. staying here for 9 night was feeling like home to us, due to the kindness of the general manager helping us on everything that we need..location easy access to public transport, near to pacific fair shopping heaven..will stay here again relax and shopping. We stayed here as a group of 4 in 2 bedroom luxury apartment. Value for money is great. We got a newly renovated 2 bedroom apartment that was very clean, had comfortable beds, great shower pressure, fully equip kitchen, free parking and free wifi (wifi code given to upon check in). You can't ask for a better option for the price (we paid $256 for 1 night stay (or $128 per couple). Check in was a breeze and staff were accommodating. 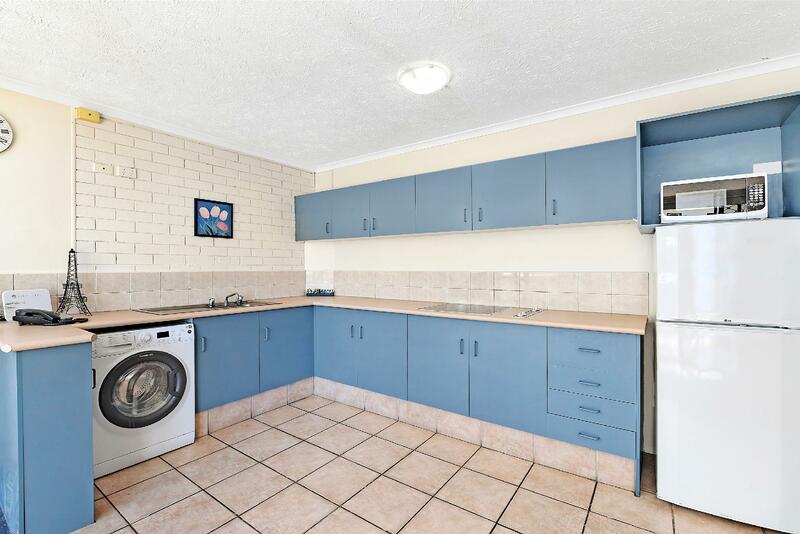 Location is terrific with the casino, shopping centre, restaurant precinct and beach all within short walking distance. We recommend this hotel to anyone looking for a cheap comfortable stay. 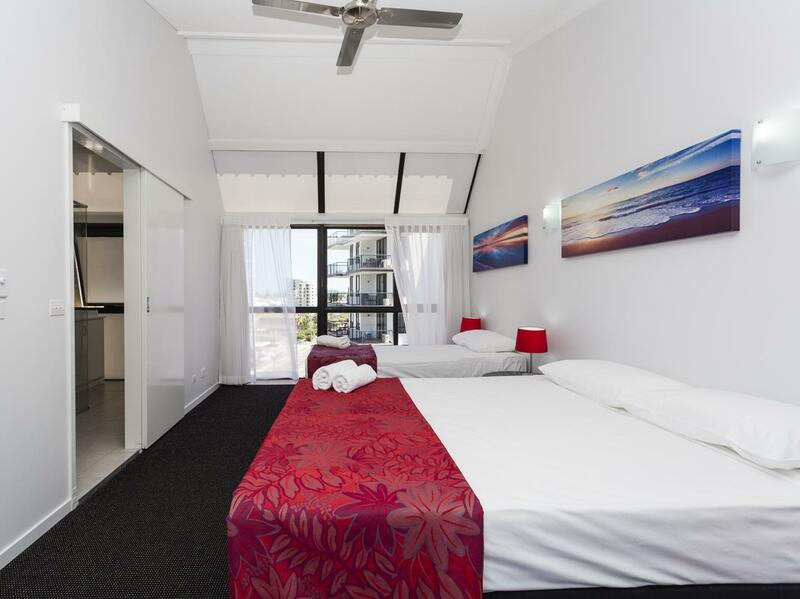 Very happy with our stay and Travel Inn Apartments are in a great location to the main Broadbeach facilities. The bedroom itself is just a little bit small for two single beds in a twin share situation? Book a two bedroom apartment. The hall is very big and spacious. The room looks old but it is clean. Good for a night stay with close proximity to mall & casinos. The corridor is very old, narrow & lift is small- if you have big bags to move around. It will be a little cumbersome. A very basic, clean budget hotel....if you are on a tight budget its perfect if you stay anywhere else its double the price. You can cook your own meals on cooktop and microwave and store food in fridge provided. Looks like its had a paint but its still very basic, nothing flash but has all the necessities you need. If you are fussy and accustomed to 4-5 star hotels keep moving don't bother coz all you will do is complain. But if you need a clean, cheaper place to stay with everything in it for a family...its fine. Reception staff were very nice and helpful changing over towels at my request, giving me garbage bags and detergent when I ran out and helpful with local information. My stay was enjoyable due to the clean and comfortable apartment. The proximity to everything I wanted to go to was great. Unfortunately I booked 3 nights and could stay only 2 due to a family member being ill at home. It was a pity that a deduction could not be made due to the internet booking. Accomodation was good although the air conditioner wasn't working. Management was good and gave us extra towels. Location was excellent. Close to shopping, entertainment and resturants and the beach. Handy to shops,mall. Transport in bus or light rail at the front door. Entertainment venues within easy walking distance. Reception was very helpful and staff making sure everything was going to plan. Rooms clean and easy access. Very enjoyable short stay. Would stay here again and will recommend this hotel to friends. Thanks. Location, location, location! It is walking distance to public transport, shops and dining places. Staff are also accomodating, friendly and understanding. I would not hesitate to stay here again. We only stayed one night so we didn't get to use all the facilities like the outdoor pool, which did look inviting. Location is fantastic and staff were great. We were able to leave our bags with reception during the day and pick them up later for our flight home. Staff were friendly and understanding especially with children. And for the price you pay per night it is fantastic value for money. I would stay again if I get a chance to go back in the future. 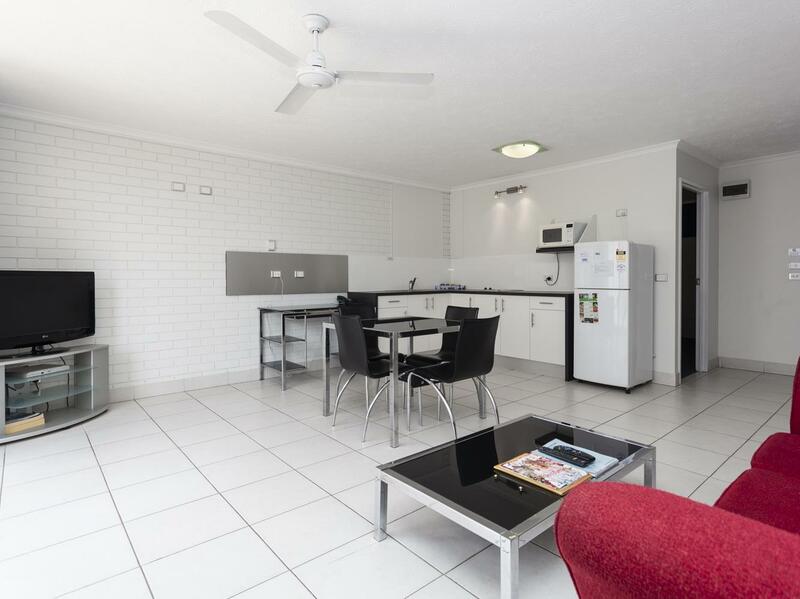 Highly recommended for families looking for good value and great location at the Gold Coast. The only improvement I could suggest is the utensils in the kitchen. Where I stayed, it was missing an egg flip which made frying eggs a challenge. I probably should have phone reception and asked for one. But that won't put me off in the future. We loved our week here. $8.10 per person on the 777 bus between the airport and hotel can't be beaten, and we couldn't get such great facilities in a hotel at home for the price. 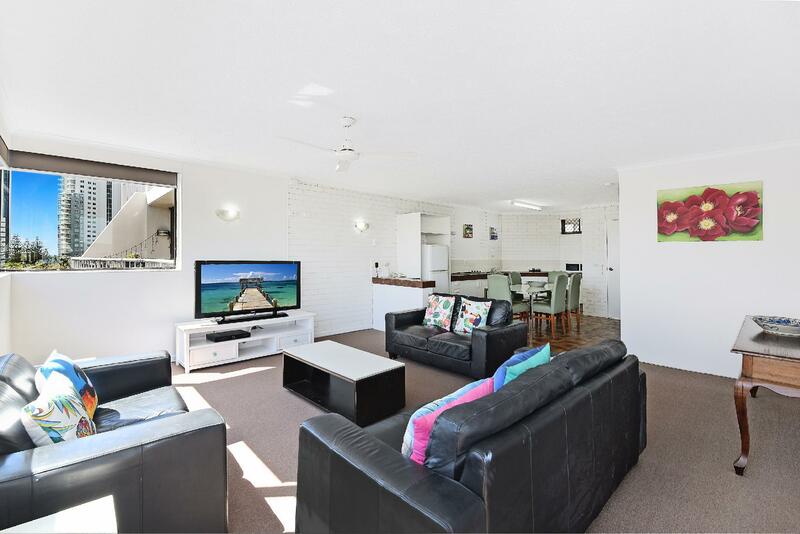 Only one or two blocks to the beach or to the shopping centre, and a 3.5km walk to Surfers. Casino, Pacific Fair and Dracula's all directly across the road. We had a fantastic stay and will definitely be back. Better than I expected after reading some very poor reviews. I was quite happy with my stay & would definitely stay again. Only minor problem was some chipped crockery that needs replacing. Very good value accommodation. The staff was most helpful for the late arrival facility and next morning check in. The Agoda booking makes for a very easy check in. The apartment had full kitchen facilities provided as well as a drier in the bathroom. A very pleasant stay. it was really great to stay at broadbeach travel Inn Apartment. Environment was very clean and quiet. Interior of the apartment was great and well equipped with all necessary kitchen and bathroom tools. Very handy to Shops, Restaurants and Public Transport. Enjoyable and is situated within the center of all activities that one required. The only problem that we encountered is noise from the Road Works. They are installing a light rail network outside the Apartments to the Gold Coast and beyond. This is only a temporary noise fault otherwise we were pleased with the accommodation. Enjoyed our stay at Broadbeach Travel Inn. The staff there were very nice and helpful. Although have to keep in mind that the Reception closes after 6pm. 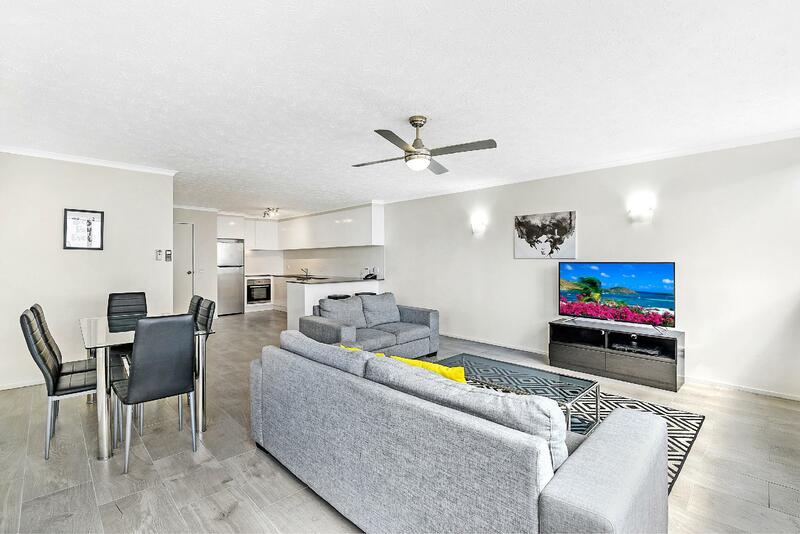 The Apartment block is conveniently located across Pacific View shopping centre and Jupiter Casino, as well as within walking distance to all the eateries around Broadbeach. Pacific View is a large shopping mall, with lots of smaller boutiques outside, so no lack of variety. Coles is located there, so easy to pick up groceries etc. The beach is also nearby, though too cold to swim and very windy during our stay. Overall, a great place to stay at in Gold Coast. Will not hesitate to stay there again.